This very handsome guy can do it ALL! 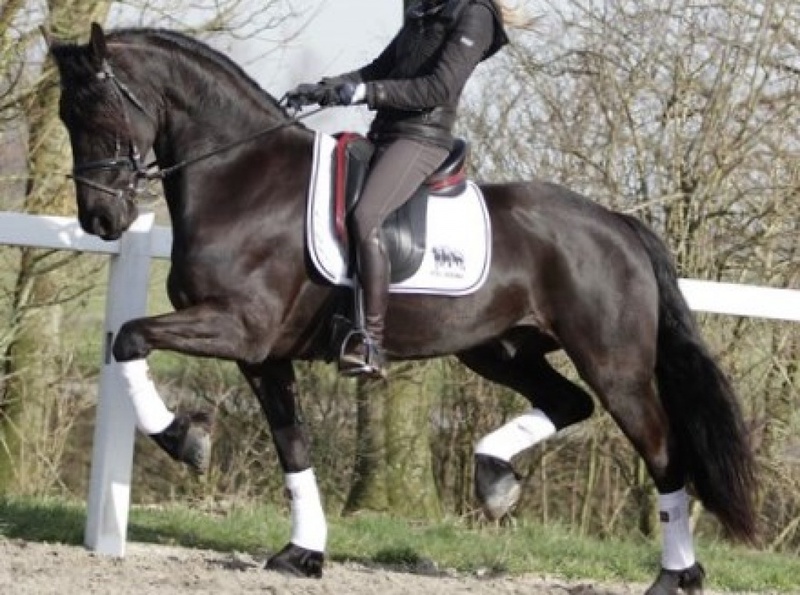 He is built very uphill, and would also excel in saddle seat or western--- Onyx is a GREAT mover, and really tracks well underneath himself---just look at those hocks! 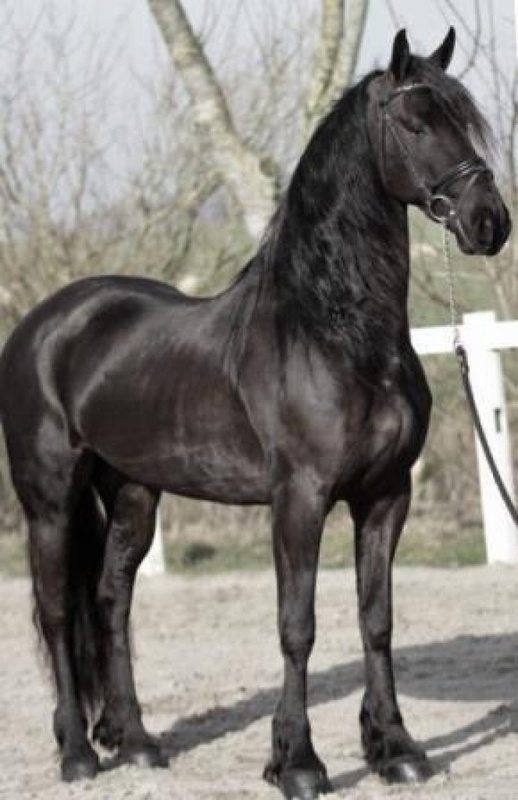 He has a perfect neck, like a knight in shining armor on your chess board, and we love his knee action---his front legs naturally lifting up, making him appear like he is floating, when trotting with his friends, across the pasture. 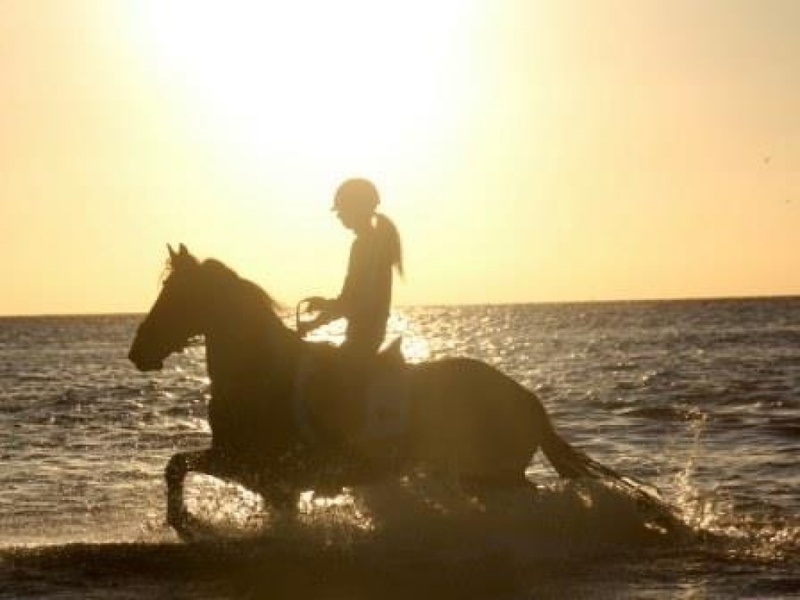 Here is a safe horse on trails for beginners, and ideal for taking horse camping! 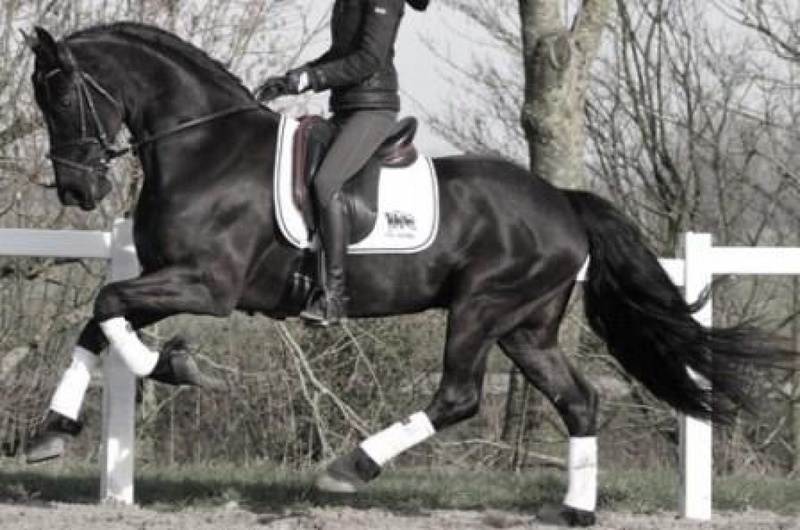 Bday 5/18/13, LOW 1.95% inbreeding, stam line 115, sired by the champion approved stallion, Stendert SPORT, who is Andries SPORT's very successful son! 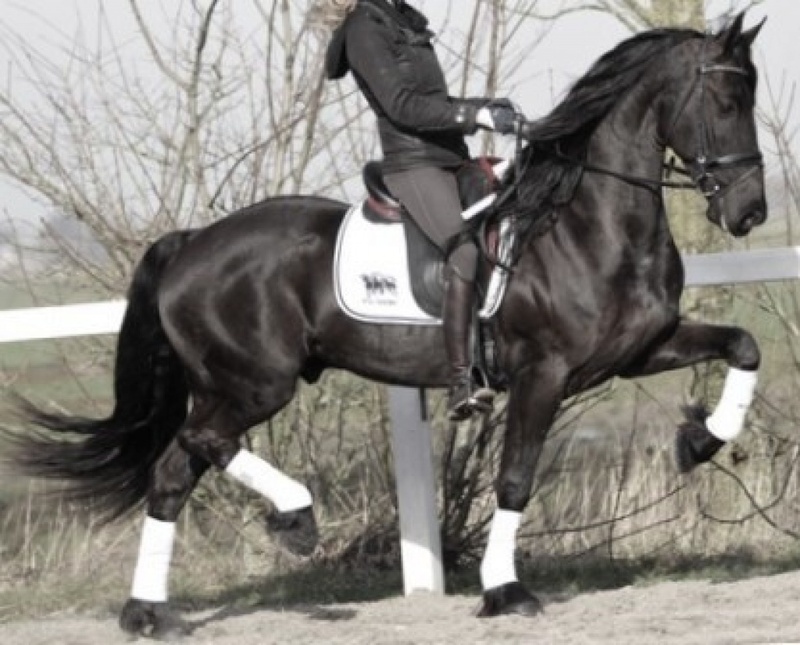 What an elegant mover, AND he is also not spooky at all. 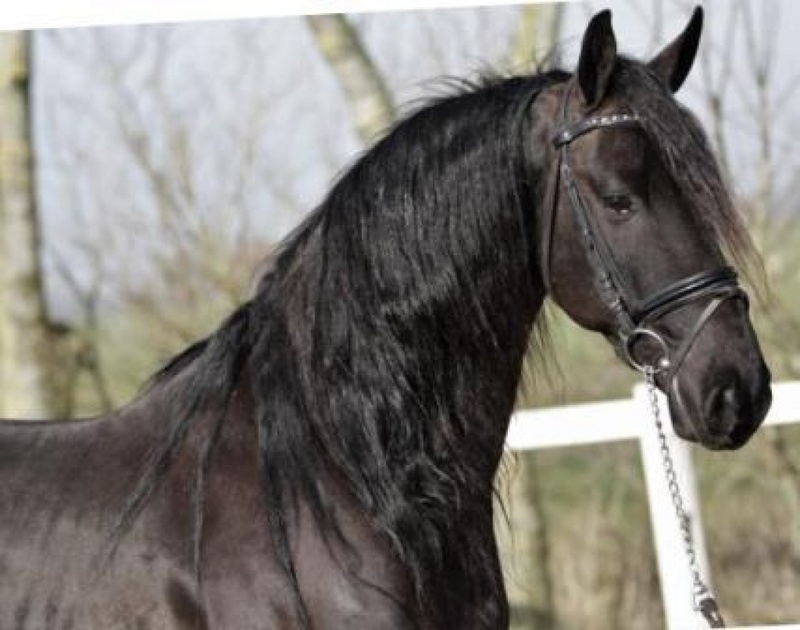 We rode AND drove him in traffic---NOTHING scares this 16.1 hand friesian gelding for sale! 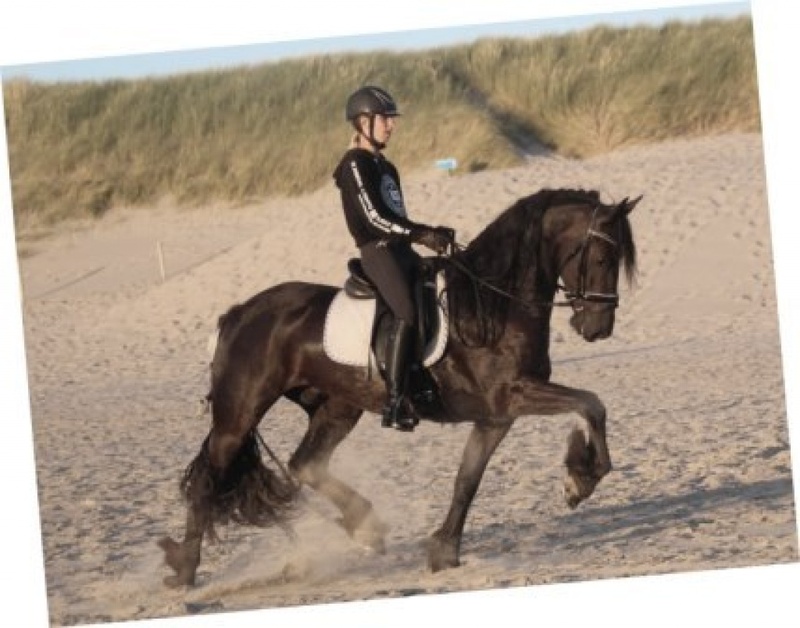 Onyx is a TALL, and an IDEAL age of 6 years, friesian gelding, already with clean x-rays, available for review with your vet. 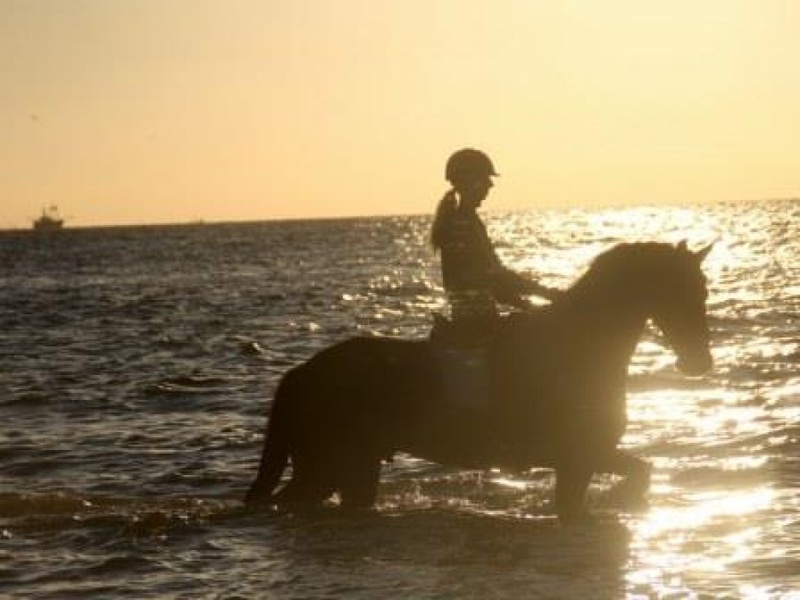 We LOVE taking him to the beach and he is THE horse of choice for timid riders on trail rides. What a sweet, easy, UNCOMPLICATED, well behaved boy, that WANTS to please! 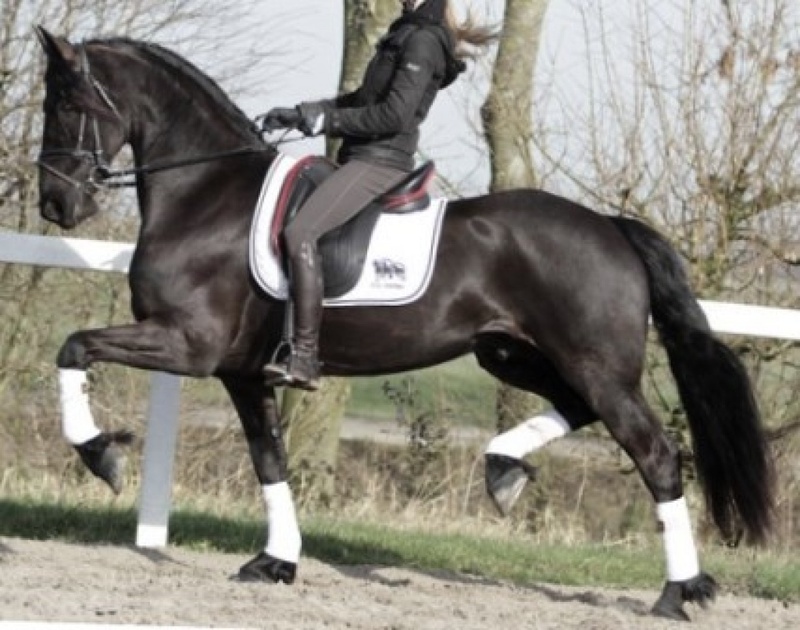 Onyx is super loading and unloading on the trailer, perfect for the blacksmith, and excellent for the equine dentist. 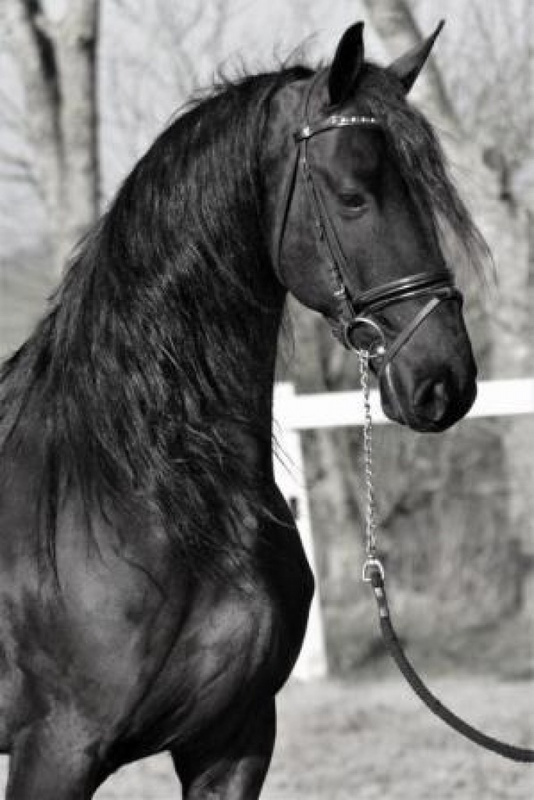 Here is a tall, long haired, well trained friesian gelding for sale that is an easy keeper, excellent in the barn, and well socialized. 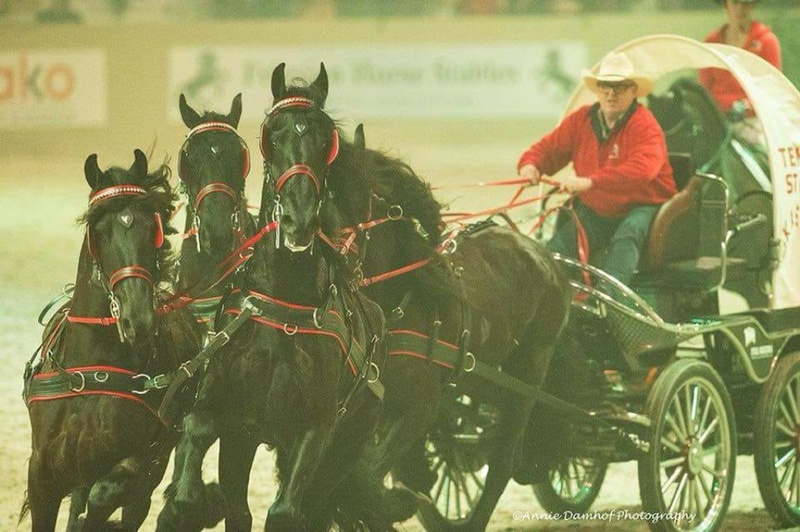 Onyx also has a lot of experience pulling a carriage; in exhibitions and horse shows. He always likes to work for you---this tall long haired fairytale boy has HEART. He WANTS to please! 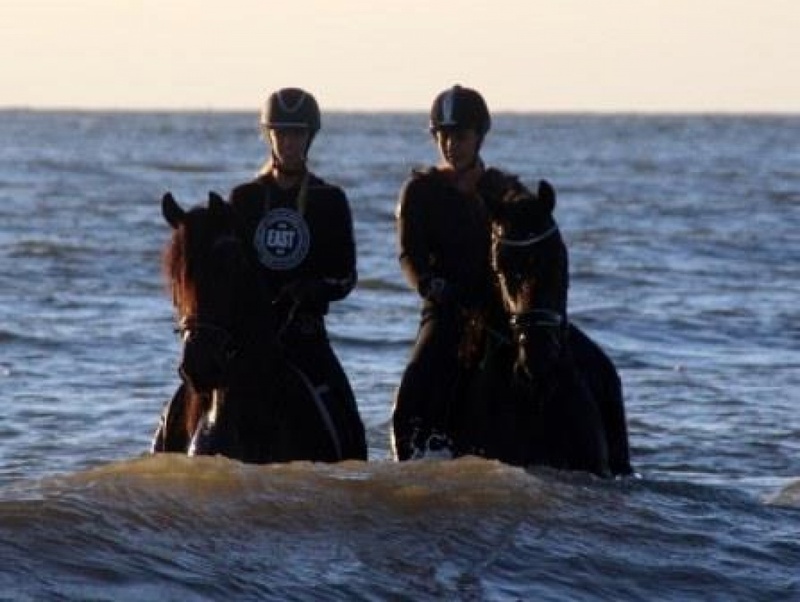 He is well trained to drive in a single, in a pair, and in a four in hand! 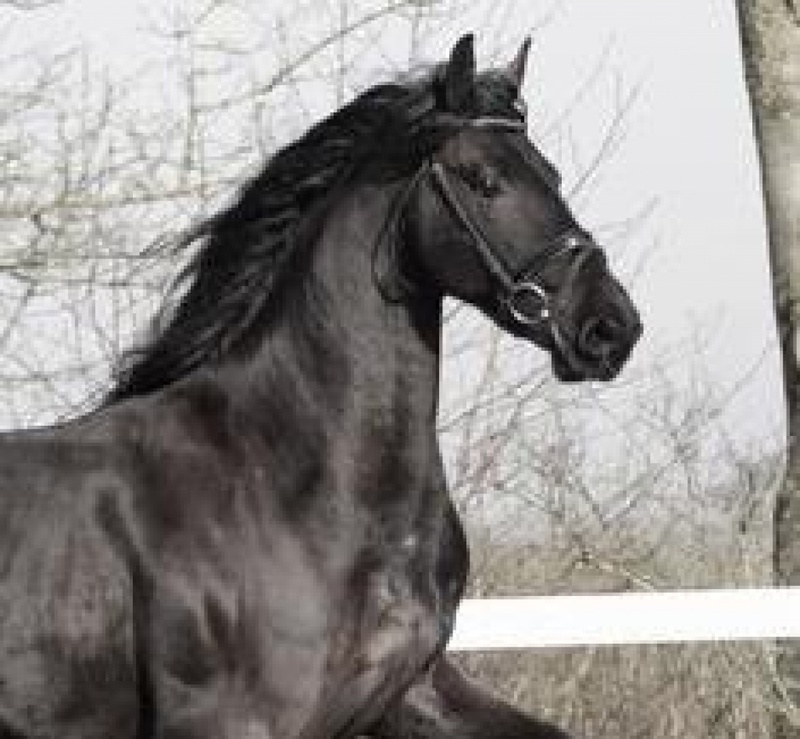 He thrilled the standing room only crowds recently at the largest Friesian show in the World, the stallion show in Leeuwarden! 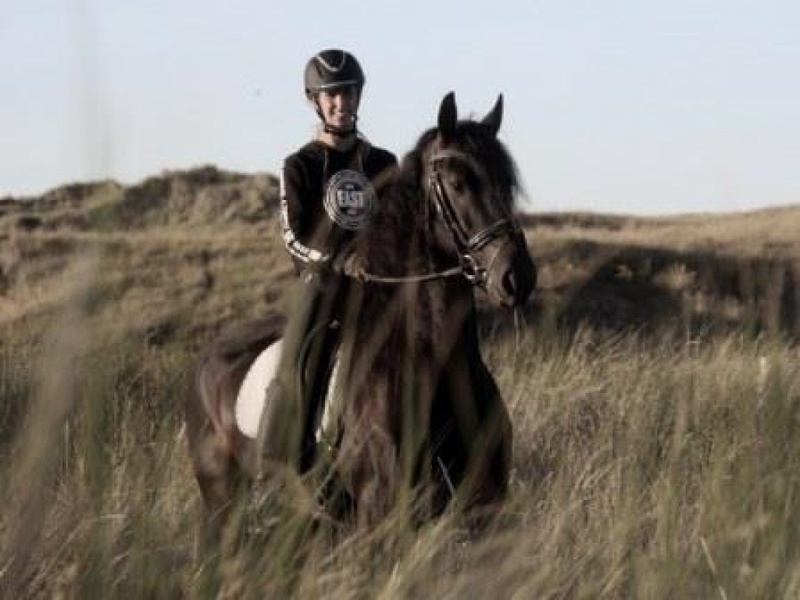 And he is an experienced competitor in a four in hand, in marathon driving competitions. 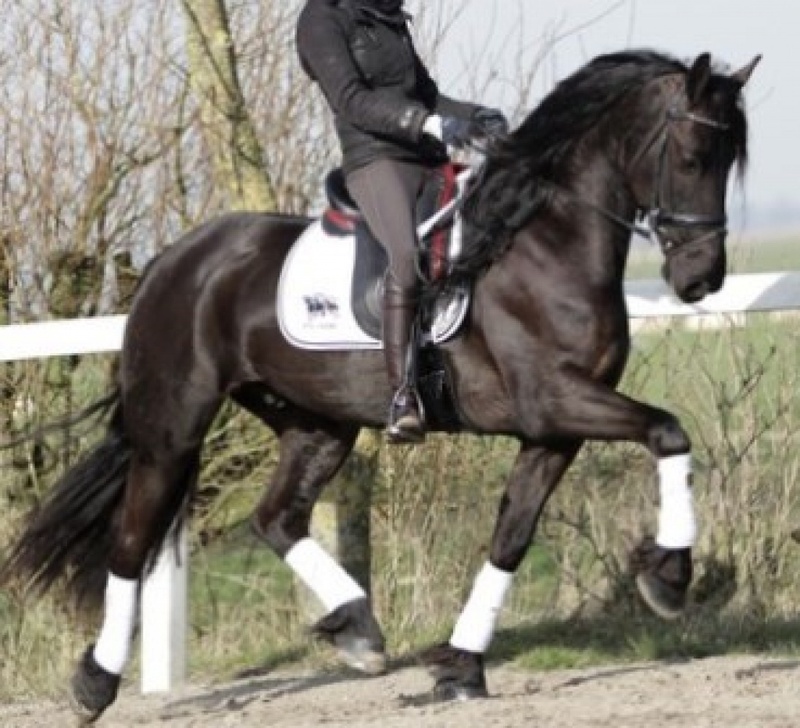 Looking for an amazing, reasonably priced, IDEAL age, clean xrays, fantastic mover and sweet character, friesian gelding that has 3 good gaits, and is an EXPERIENCED trail horse, confident and comfortable in numerous settings, that is still in his PRIME, giving you many MANY years of enjoyment left in his life?? Onyx is your man! 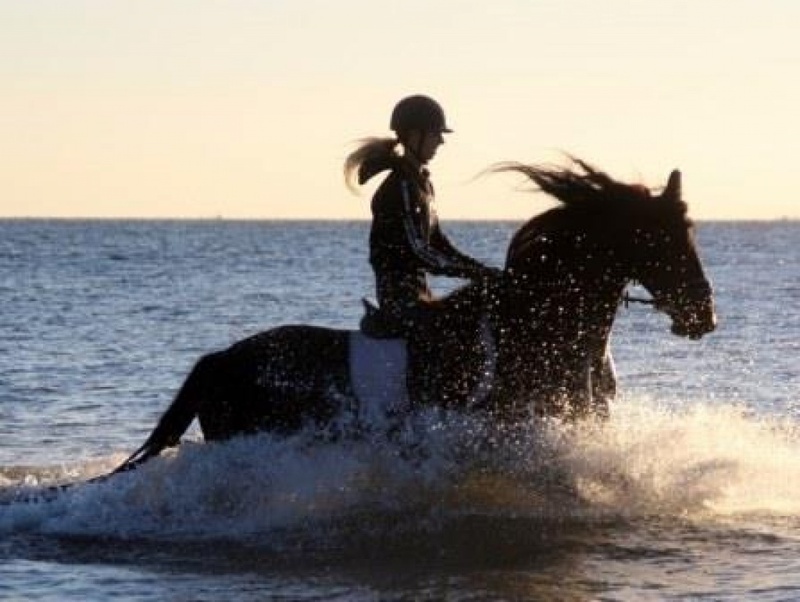 Here is a horse that will give you his heart and soul and be your forever best friend! 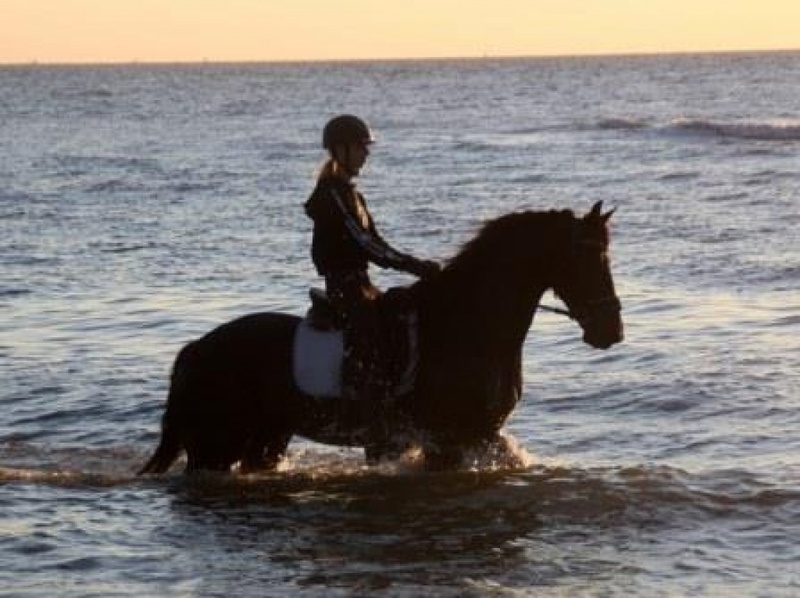 We really love Onyx because he is so safe, even for our beginner riders, on trails and in traffic---what a GREAT work ethic, and incredibly VERSATILE! He has a very kind heart and soul and gives you 100% , all the time, and ANYWHERE. This is one PEOPLE oriented sweetheart! Give janna a call at 415-272-2112 for more info, or email [email protected] . 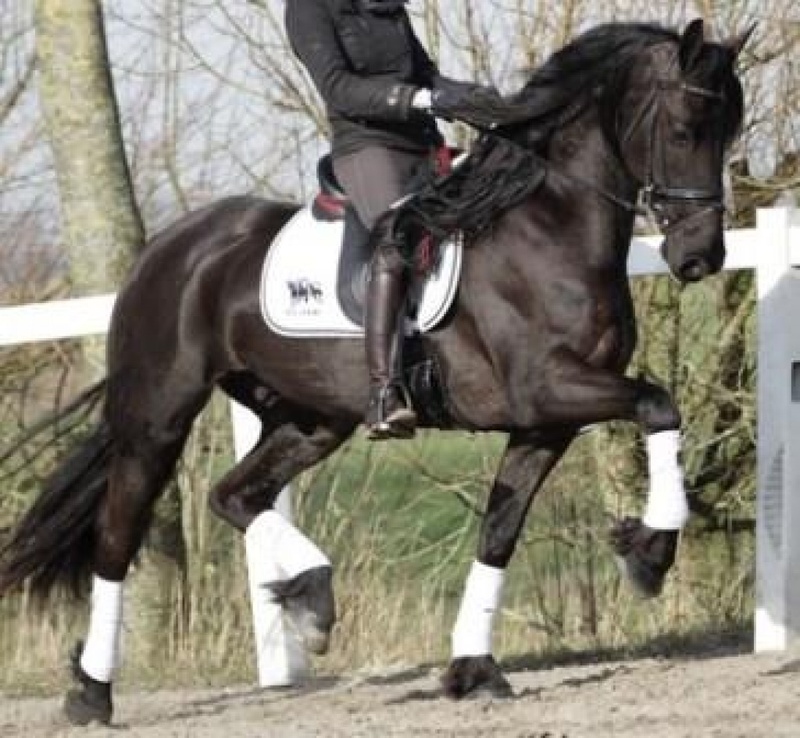 Horses like Onyx, at this price point, are selling quickly right now---let us know right away if you would like us to take Onyx off the market for you? !